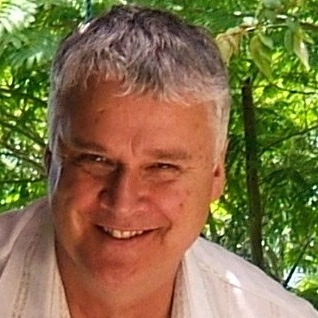 Alan Wagstaff, currently Learning Manager and concept designer of Green School, Bali, is a director and co-founder of RAW Education Ltd. Alan has had forty years experience in the education sector as a primary and secondary school teacher, a special education teacher, a school principal, and for the last decade, as an independent consultant, mentor and school developer. David Rowan is editor-in-chief of WIRED’s UK edition. He’s taken 120 flights in the past year to investigate the companies and entrepreneurs changing our world, recently spending time with the founders of WhatsApp, LinkedIn, Google, Spotify, Xiaomi, Nest, Twitter and countless other disruptive startups from Tel Aviv to Shenzhen. His recent keynote talks have included events for banks, governments and Fortune 100 companies, and recent stage interviews have ranged from will.i.am to James Murdoch and David Cameron. David has been a columnist for The Times, GQ, Condé Nast Traveller and The Guardian. 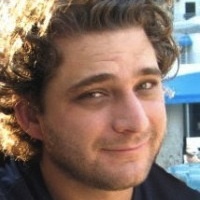 At WIRED he has extended the brand into conferences, apps, and a consulting business. He is co-founder of FlowJourneys.com, taking amazing people for weekend adventures in the world’s most extraordinary locations. And he is still searching for the future. d'bi.young anitafrika, affectionately know as d'bi. is an internationally celebrated Jamaican dubpoet, monodramatist and educator whose socially-conscious performance art works have made an indelible mark upon the global psyche. After moving from Kingston Jamaica in 1993, she exploded onto the Canadian theatre scene in 2001 as the unbelievable storyteller in 'da kink in my hair' which played at London’s Hackney Empire Theatre in 2006 and has toured globally. Entrepreneur, programmer, student of life. Originally a professional musician and circus clown, Derek Sivers created CD Baby in 1998. It became the largest seller of independent music online, with $100M in sales for 150,000 musicians. In 2008, Derek sold CD Baby for $22M, giving the proceeds to a charitable trust for music education. He is a frequent speaker at the TED Conference, with over 5 million views of his talks. In 2011, he published a book which shot to #1 on all of its Amazon categories. 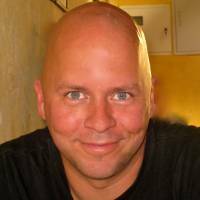 Derek Sivers lives in Singapore, where he is creating his next company. Los Angeles-based multi-media visual artist, painter and curator Dianna Cohen is best known for her two-dimensional and three-dimensional works using recycled plastic bags – sewn together – ranging from small hanging pieces to room-sized installations. 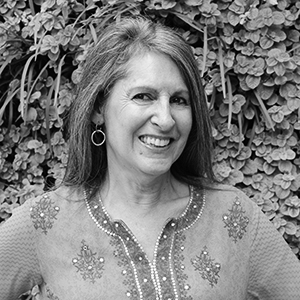 Since graduating from UCLA she has shown work in solo and group exhibitions at galleries and museums in the USA, Europe, Australia, and Africa. 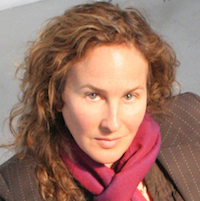 Dianna Cohen is Creative Director & co-founder of Plastic Pollution Coalition, a global alliance of individuals, organizations and businesses working together to stop plastic pollution and its toxic impacts on humans, animals and the environment. 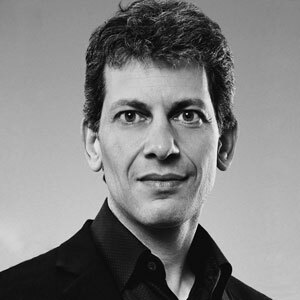 Eames Demetrios is best known in the design world for his work as director of the Eames Office spearheading the successful re-discovery of the Charles and Ray Eames design heritage by new generations. The mission of the Eames Office is communicating, preserving and extending the work of Charles and Ray Eames. His current large-scale project, Kymaerxthaere, is a multi-pronged and ongoing work of multi-dimensional storytelling and has been underway for several years. The project can be found in stories set in bronze markers--like a novel where every page is in a different city. Kcymaerxthaere’s manifestations include writings, video, performances, images, installation, and limited edition prints. You can discover some of the stories in India in the small village of Sakad in the tribal area of the Madyha Pradesh. Demetrios looks forward to bringing more Kcymaerxthereal stories to India. He currently lives in Southern California with his wife and two sons. 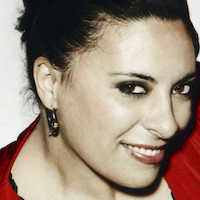 Francesca Rosella is the Co-Founder and Chief Creative Director of CuteCircuit, a fashion company based in London pioneer in the field of Wearable Technology. Founded in 2004, CuteCircuit has introduced many ground breaking ideas to the world of fashion by creating new beauty and functionality through the use of smart textiles and micro-electronics. Working alongside Ryan Genz, CEO of CuteCircuit, Francesca has built the first fashion company that creates haute couture with LED illumination worn by international stars on the red carpet and that has been also the first to sell illuminated fashion using LEDs in leading stores like Selfridges in London. 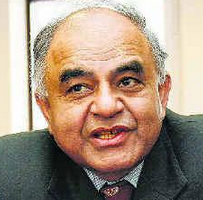 Gurcharan Das is an Indian author, commentator and public intellectual. He is the author of The Difficulty of Being Good: On the subtle art of dharma which interrogates the epic, Mahabharata and the international bestseller, India Unbound, a narrative account of India from Independence to the global information age. Harish Hande co-founded SELCO-India with Neville Williams in 1995. Dr. Hande earned his Doctorate in energy engineering (solar specialty) at the University of Massachusetts (Lowell). He has an undergraduate degree in Energy Engineering from the Indian Institute of Technology (IIT), Kharagpur. Dr. Hande serves on the boards of many organizations, both national and international. HK Venkatram is one of the most accomplished and sought after violinists in the Carnatic Music field. HKV also works for Intel Corporation as Director of Intel Architecture Group in India. He belongs to the rare creed in which he pursues two careers in parallel seeking excellence in both chosen fields. HKV has been performing solo concerts and also accompanying the top artistes of Carnatic Music for over three decades in India and abroad. 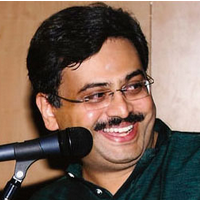 He is known for his deep understanding of nuances of Carnatic Music and adherence to classicism. His playing is characterized by depth, knowledge, sincerity and maturity. 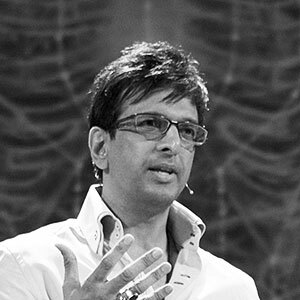 Jaaved Jaaferi is an Indian actor, voice artist, dancer, comedian, impressionist known for his work in several Bollywood films and Indian television shows. Jaaferi has distinguished himself as one of India’s most versatile and popular entertainers with his flamboyance, quirky sense of humor and his incredible dancing ability. The son of legendary actor/ comedian Jagdeep, Jaaferi seemed destined for a career in showbiz. 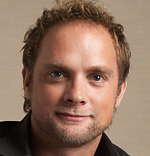 James Stark, M.A., F.E.S., is the co-director of the Regenerative Design Institute (RDI). He co-founded and co-directs the Ecology of Leadership program which creates powerful circles of change-makers by rooting them in deep nature connection, inner transformation, and leadership skill development in order to revolutionize their life and service in the world. James is also a senior trainer in the 3-year, full-time Regenerative Design and Nature Awareness training program, preparing young global community leaders for the “Great Turning” of our era. 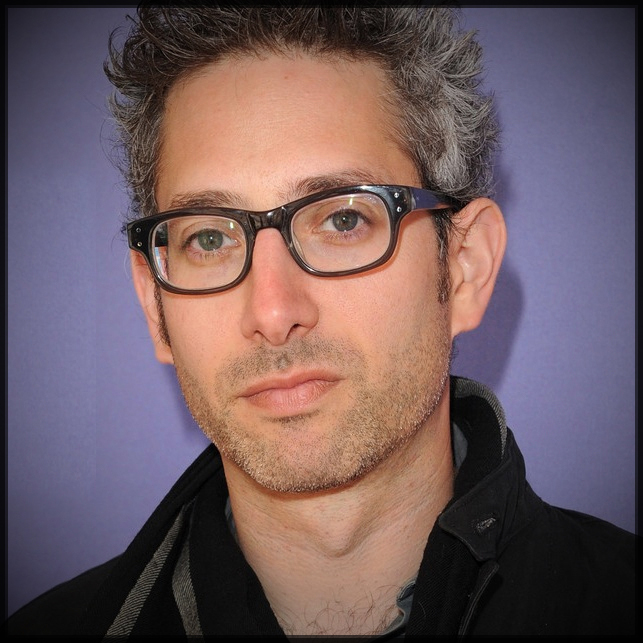 Jason Wishnow is the filmmaker behind TEDTalks, the Peabody Award winning video series watched nearly a billion times (even in outer space). Wishnow works at the intersection of film and emerging technologies and has been called an “online-video virtuoso” (New York Times, 2009), the “enfant terrible of digital film” (The Guardian, 2000), and one of the ten most influential digital filmmakers of 1999 (RES Magazine). Prior to joining TED, Wishnow founded one of the first film websites, The New Venue, in the mid-’90s, an entire decade before YouTube. Best known as the co-creator and co-writer of the hit Broadway musical Avenue Q. Winner of three 2004 Tony Awards including Best Musical. Avenue Q became the 20th longest running show in Broadway history and it is still running in New York and all over the world. Joi Barua is a musician from Assam, India who fell in love with music at the age of four, after his father gifted him a violin. Growing up, his town had one piano and no music teachers, and his father had to cross the border and get him a keyboard from Bhutan. Since then, Joi has been making waves in the advertising, music, and film circuit in Mumbai with his musical stylings and melodious voice. He is also the lead vocalist of the band Joi and has a mixed musical style incorporating elements of rock, soul, jazz, folk and world music. 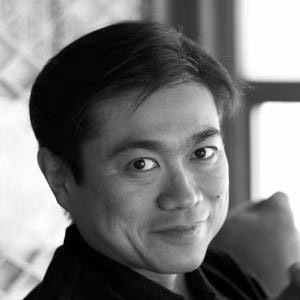 Joichi Ito is the Director of the MIT Media Lab. 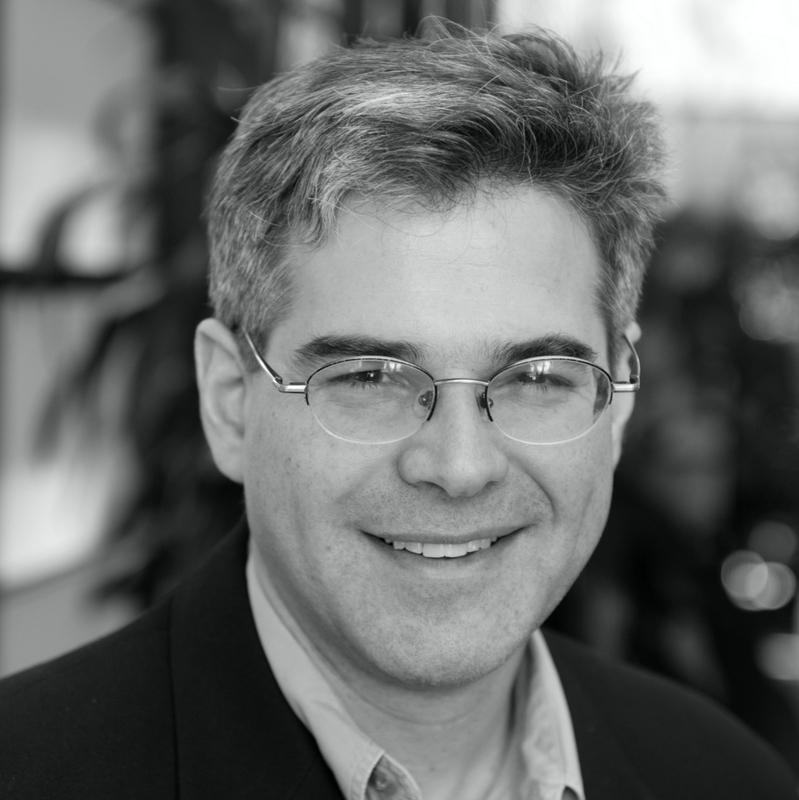 He is the Chair of Creative Commons, on the Board of The New York Times Company, on the Board of the MacArthur Foundation, on the Board of Trustees of The Knight Foundation, and co-founder and board member of Digital Garage an Internet company in Japan. He is on board of a number of non-profit organizations including The Mozilla Foundation and WITNESS. He is a member of the IT Strategic Headquarters of the Japanese Cabinet. He has created numerous Internet companies including PSINet Japan, Digital Garage and Infoseek Japan and was an early stage investor in Twitter, Six Apart, Wikia, Flickr, Last.fm, Kongregate, Fotonauts/Fotopedia, Kickstarter, Path, Pinwheel and other Internet companies. 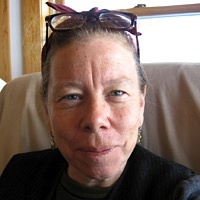 Lynda Barry has worked as a painter, cartoonist, writer, illustrator, playwright, editor, commentator and teacher and found they are very much alike. 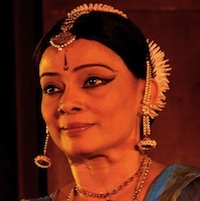 Malavika Sarukkai is a dancer and choreographer. Her dance is described as intense, extraordinary and luminous and helps distinguish her form other dancers. She is acclaimed globally for her creative dance choreographies, which transport the viewer to the heart beat of dance, taking dance beyond specific geographies. 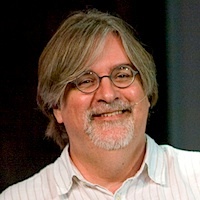 Matt Groening created the longest-running comedy in television history, The Simpsons. It exploded into a cultural phenomenon in 1990 and has remained one of the most groundbreaking and innovative entertainment franchises, recognizable throughout the world. He followed it with his creation of the hit sci-fi series FUTURAMA, currently one of the top rated shows on Comedy Central. As a cartoonist, Groening began his Life in Hell weekly comic strip series in the 1980’s which continues to this day in newspapers nationwide. 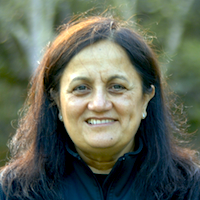 Neeru Khosla is the Co-Founder and Executive Director of CK-12 Foundation, a non-profit organization, which aims to provide K-12 learning materials that is customizable, aligned to requirements, and free for all, in the US and worldwide. 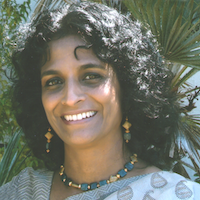 Neeru is also one of the founding members of the K-12 Initiative of the Design School at Stanford University. Nikhil operates the multidisciplinary studio and business incubator, Boiled Beans Inc, whose purpose is to explore the idea of infinity and build technology that can change the world.The incubator builds companies at the intersection of the physical and digital world, in realms like personal fabrication, robotics and physical computing. I am a neonatologist (baby doctor!) and love high altitude trekking and mountaineering. I am an associate professor of pediatrics at New York Methodist Hospital, and love to use innovative methods to teach medical students. I am constantly humbled and amazed by what love and compassion can do to heal little premature and sick babies! I have also been leading a research project in the Himalayas, including the Mt. Everest region, involving ultrasound of the eye(optic nerve) and the body, to predict mountain sickness, and have also looked at the effect of meditation in acclimatizing the body to high altitude. I constantly encourage my students to break the rules, rearrange the paradigms with which they run their lives, and therefore to re-invent themselves every moment! I also volunteer as an art guide at the Rubin Museum of Himalayan Art in New York City, and this is a reminder to me that medicine is so much of an art as well as a science! 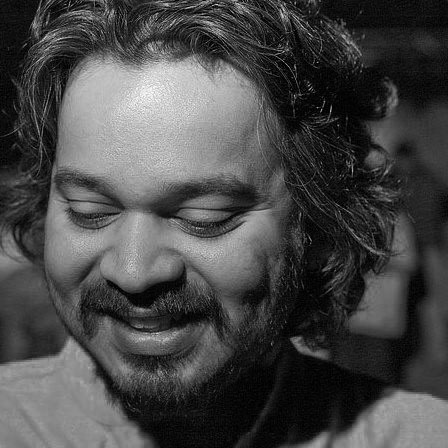 Oikyotaan, a Contemporary Folk Platform founded by, Biswasjit “Bonnie” Chakraborty, aims at performing, archiving and spreading the infectious philosophy and melody of Indian Folk Traditions. The sound is rooted in the rhythm and melody of Indian folk music, with a special emphasis on Baul music from Bengal. 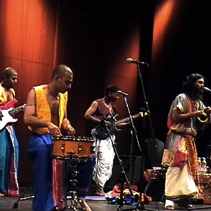 Their foundation of sound is created, using an equal set of unique components from Indian Folk-Classical and other forms of Contemporary music. The magic of pulsating rhythms, weaving themselves together with soul-stirring melodies and spinning a web of lyrical arrangements. Raghava KK is a renowned Indian artist and a tech entrepreneur, named by CNN as one of 10 most remarkable people in 2010. 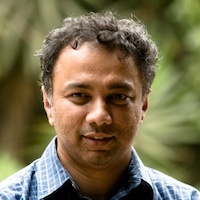 Ramesh Raskar is an Associate Professor at MIT Media Lab. 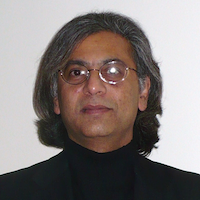 Ramesh Raskar joined the Media Lab from Mitsubishi Electric Research Laboratories in 2008 as head of the Lab’s Camera Culture research group. 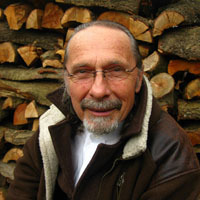 His research interests span the fields of computational photography, inverse problems in imaging and human-computer interaction. Recent projects and inventions include transient imaging to look around a corner, a next generation CAT-Scan machine, imperceptible markers for motion capture (Prakash), long distance barcodes (Bokode), touch+hover 3D interaction displays (BiDi screen), low-cost eye care devices (Netra,Catra), new theoretical models to augment light fields (ALF) to represent wave phenomena and algebraic rank constraints for 3D displays(HR3D). Sandeep Divekar is GM of Global Technology Initiatives at Reliance MediaWorks. 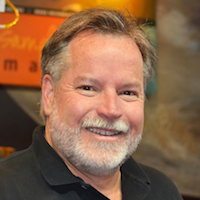 He is responsible for commercializing the company's Academy Award winning image processing and film restoration technology and for finding new application areas for the technology. 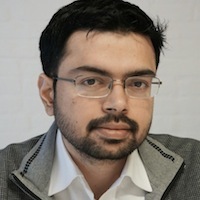 Prior to joining Reliance Mediaworks, Sandeep Divekar set up a South Asian IPTV network for Neulion Inc. which involved negotiating contracts with South Asian television channels, setting up satellite capture teleports in Nepal and India, market research, designing packaging and pricing and launched the network to consumers in Canada and the US. Folk music is rapidly disappearing from mainstream music, but never fear! Shantanu Moitra is a man on a mission to save folk musical traditions. Shantanu is a renowned Indian music composer and restorationist. With a father as an accomplished sarod player and his mother as a talented artist, creativity naturally runs through his veins. He has worked on many landmark Bollywood films, including "Parineeta", "3 Idiots", and "Madras Cafe". Shilo Shiv Suleman is an Indian illustrator, animator and visual artist based in the city of Bangalore. 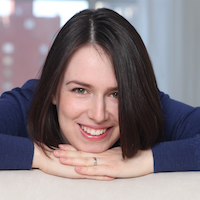 Her primary area of interest is visual storytelling through multiple mediums. She illustrated her first book for children at the age of 16 and has illustrated eight others since with some of the most well known publishing houses in India. She has also been actively involved in setting up community art projects and collectives that get people to appreciate and create street art in their surroundings as well as use art and design to bring socially relevant issues in India to the forefront. Shruti Haasan is an Indian actress, singer and music composer who works in the South Indian film industry and Bollywood. She sang her first song at the age of six and has continued her stint in music through her work as a singer in Indian languages. She trained in Hindustani classical music and studied at the Musicians Institute in California. 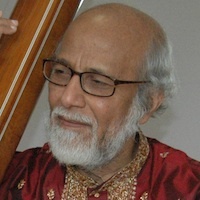 Pandit Shyamrao Kulkarni is a doyen of North Indian Classical Music. He is a vocalist of the highest caliber, whose voice provides an effortless rendition of his musical thoughts as he creates beautiful expositions of various raagas. 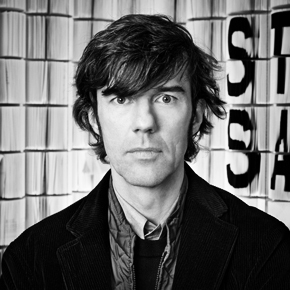 Stefan Sagmeister is one of the most celebrated figures in the world of visual communication. He has won two Grammy Awards for his work in album covers and packaging design. Sagmeister & Walsh produces work that stands out among mediums and disciplines of graphic design. 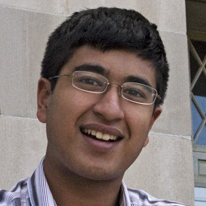 Sujay is currently 19 years old and the VP of Business Development at Scopely, a venture-backed gaming start-up in Los Angeles. He was awarded one of Peter Thiel's 20 under 20 fellowships and took a leave of absence from Harvard University, where he had matriculated at 15. 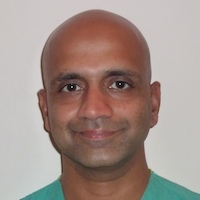 Prior to Scopely, Sujay was the Head of Market Strategy at Kyruus, a health IT startup in Boston. He has worked at the Blackstone Group in Tokyo, Japan and conducted Malaria Research in Dakar, Senegal. Most significantly, Sujay conducted 6 years of biofuel research and successfully converted cellulose into ethanol in a cheap 1-step process for viable, cheap alternative energy. 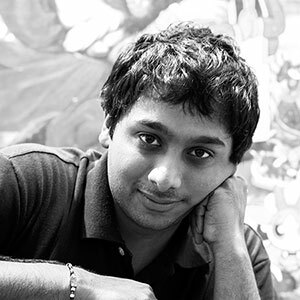 Sujay is an avid speaker and leader in young entrepreneurship and energy and recently delivered a TEDxTeen talk in NYC. Sujay has received distinctions from AT&T, Coca-Cola, DuPont, HSBC, Intel, Sanofi-Aventis, The Thiel Foundation, and Toyota. He has been featured on 60 Minutes, ABC, NBC, CBS, FOX, and the Weather Channel; in a documentary produced by Dogpatch Films; and in BusinessWeek, Forbes, and India Abroad for his achievements. He recently delivered a TEDx talk in NYC. 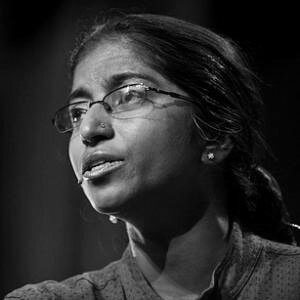 Sunitha Krishnan, Founder and Director of Prajwala, or “an eternal flame”, is an eminent anti-trafficking activist internationally known for her fight against girl child trafficking for the purposes of commercial sexual exploitation. A mental health professional, she has done extensive research and is essentially a field practitioner. Prajwala runs 17 schools throughout Andhra Pradesh, India, for 6,000 children and has rescued more than 4,200 women from prostitution, 2,100 of whom Krishnan personally liberated. Tania Luna loves pit bulls and elephants. She also teaches psychology, writes non-fiction and fiction, helps companies increase employee and customer happiness, and is CEO of a very surprising company. She moved to the U.S. from Ukraine as a child, and has been living in New York City ever since - a place she adores for its unpredictability. Dr. Usha Arunachalam is a biotechnologist with over 20 years of business experience with biotech companies, especially early-staged biotechnology companies. 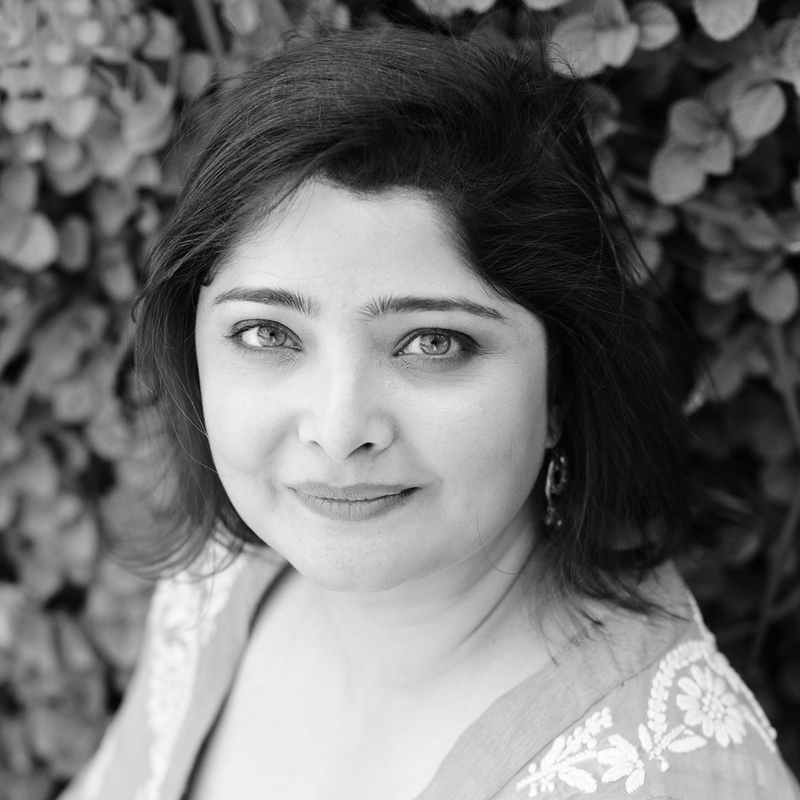 She currently consults for IndUS Pharmaceuticals, an India-US cross border biotechnology company. V.V.S. 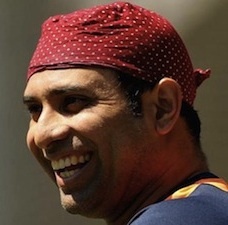 Laxman, is a former reknowned Indian cricketer. Laxman represented Hyderabad in domestic cricket and has played for Lancashire in English county cricket. He was the captain of the Deccan Chargers team in the Indian Premier League in its first year. In 2011, Laxman was awarded the Padma Shri award, India's fourth highest civilian award from the Government of India. He announced his retirement from international cricket in August 2012. Vasundhara Das is a singer, songwriter, composer and actress. She has starred in several films in various languages, and has worked extensively as a playback singer in Bollywood, as well as in South Indian regional language films. 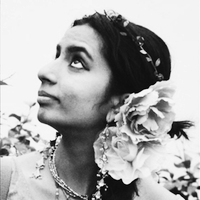 Vasundhara is also a qualified drum circle facilitator, having trained with Arthur Hull. She spearheads Drumjam’s community and children’s programmes. Born into a family with a rich musical heritage, Vidya Shah is a vocalist who has trained in both North and South Indian musical traditions. Blessed with a rich and captivating voice, she has performed at national and international fora, including the Kennedy Centre in Washington D.C, Asia Society in New York, Assilah Arts Festival in Morroco, The Kala Utsav in Singapore, the Humbolt Forum, Berlin, Germany and the Schaffhauser Jazz Festival, Switzerland. 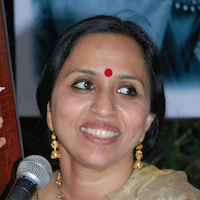 Vidya conducts workshops on music appreciation and spiritual traditions in Indian music. Vikram Gandhi is the award-winning director and star of Kumaré, a film in which he impersonates a wise guru from the East and starts a following of real people in the West. Kumaré won the Audience Award at SXSW Film Festival in 2011 and was released theatrically in North America in 2012. Vikram lives in New York and is developing his next feature film. 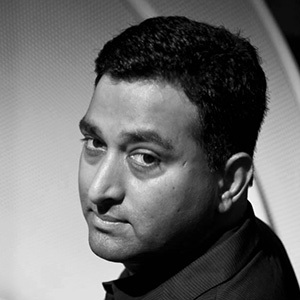 Vinay Venkatraman is the co-founder and partner at CIID (Copenhagen Institute of Interaction Design). 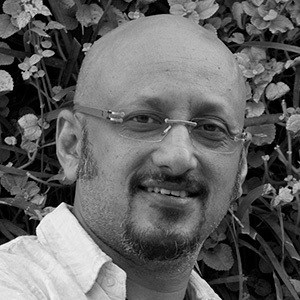 Vinay helps shape the strategy and content for CIID through consulting, teaching and research lead initiatives. 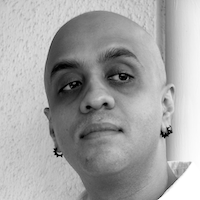 He is trained as product & interaction designer in India and Italy. His works in the past have spanned design of consumer products, software and film visual effects. He currently spends his time between creating new education curriculums, shaping policy initiatives for the Danish government and consulting large global companies on innovation around new product experiences and design strategy. Vinita Bali is the Managing Director of Britannia Industries. 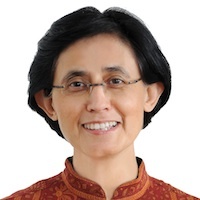 She is among 27 global leaders appointed by the United Nations to help improve maternal and child nutrition, an investment which some of the world's leading economists believe would be the most valuable for human well-being and productivity. Will Travis is a leader of infectious passion, drive and tremendous insight, gained from leading creative agency ATTIK, which he helped expand into London, New York, San Francisco and Sydney, and most recently with the US division of the world’s largest agency Dentsu, where he held the post of CEO of Dentsu America. A long-term creative entrepreneur, with a hell-bent focus on creating unique brand experiences with the energy to deliver. Yann Vasnier was born in Brittany, France and from an early age he was drawn to appreciate the nuances of fragrances. He trained as a perfumer at ISIPCA, the prestigious Versailles perfumery school and he graduated Valedictorian in 1999. During his studies, Yann also worked as a trainee perfumer for Quest International in Paris. Upon graduating, he was offered a position as a junior perfumer with the Fine Fragrance team in Paris, trained by Francoise Caron. In 2001, Yann was the recipient of the International Young Perfumer Award. In July 2003, Yann joined the Quest New York as a perfumer and in 2007 joined Givaudan.